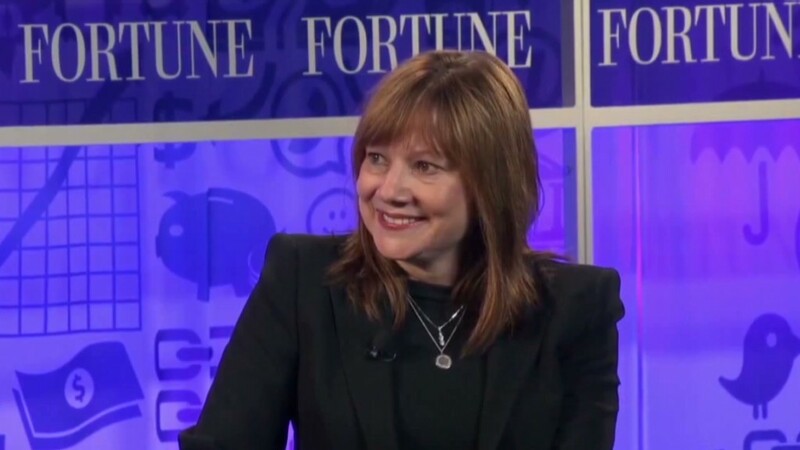 General Motors on Tuesday promoted insider Mary Barra to serve as the new chief executive officer, the first female head of a major U.S. automaker. The announcement comes at an important time for General Motors -- one day after the U.S. Treasury Department said it had sold its final financial stake in the company, closing the book on its 2009 taxpayer bailout of the auto industry. In addition to selecting Barra, the board of directors on Tuesday named Theodore "Tim" Solso to succeed Akerson as chairman. Akerson became CEO in September 2010, and Barra will become GM's fifth CEO in less than five years. As the incoming CEO of a Fortune 500 company, Barra joins the ranks of 21 other female chief executives including Indra Nooyi of PepsiCo (PEP), Marillyn Hewson of Lockheed Martin (LMT), Meg Whitman of Hewlett-Packard (HPQ), Virginia Rometty of IBM (IBM) and Phebe Novakovic of General Dynamics (GD). Women represent a minority presence in the auto industry, comprising 21% of the total workforce. According to federal data, 39,000 of the industry's 185,200 employees were women. And women hold about 3.3 million of 12 million jobs in the broader manufacturing sector, or about 27%. Jared Rowe, president of auto product researcher Kelley Blue Book, said that it's smart for an automaker to put a woman in charge with a background in product development, considering that "the bulk of the buying decisions are actually made by women, when it comes to purchasing vehicles." He also said that Barra's long history with GM is vital to the company's leadership. "GM is in a bit of a golden age in terms of their product overall," he said. "I think it's very good she's an insider because she's been part of the evolution of GM. She's been part of the transformation and she can continue that, which I think is phenomenal." --CNN's Amanda Hobor, and CNNMoney's Chris Isidore and Annalyn Kurtz contributed to this article.